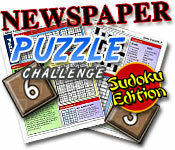 Newspaper Puzzle Challenge - Sudoku Edition is rated 4.0 out of 5 by 7. 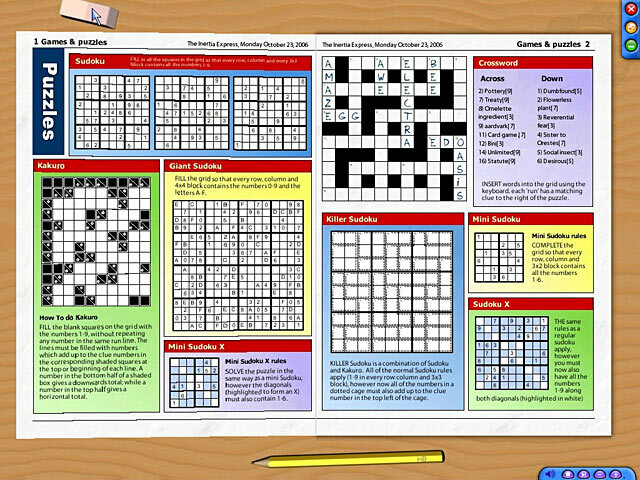 Rated 5 out of 5 by mac_j from Excellent puzzle game A variety of Sudoku puzzles, keeping me busy for months. Replay is endless. 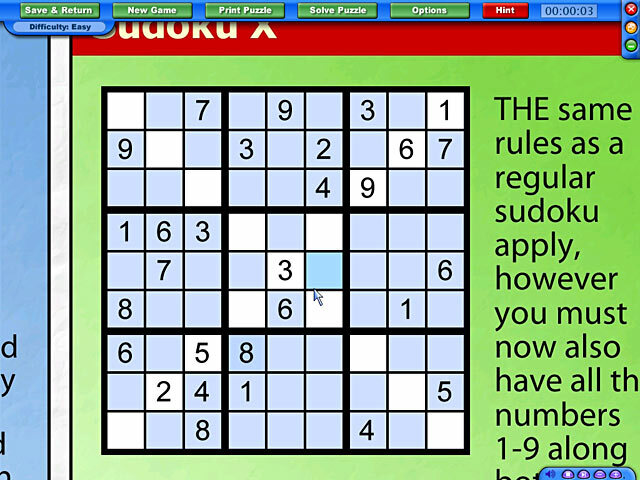 if you like Sudoku puzzles you will like this game. Rated 5 out of 5 by jmcbeauty from This game is the bomb So many puzzles, so little time in 60 minutes. The variety, the quality, the fun of it all. The music got annoying, but the games were wonderful and seem to go on and on and on. I thoroughly recommend this game for the immense quantity of puzzles that you can play. Rated 5 out of 5 by LegacyTech from Exercise those Brain Cells I thoroughly enjoy these puzzles, and play them daily. Choose between 3 levels of difficulty; I like easy for speed, and hard for strength. With over 100,000 unique puzzles, you will be hard pressed to complete them all. Rated 3 out of 5 by mrm2006 from Fill your day with a variety of puzzles. If you take the daily challenge, which comprises of over 8 puzzles, you WILL be thoroughly challenged because each puzzle is harder than the one before it. 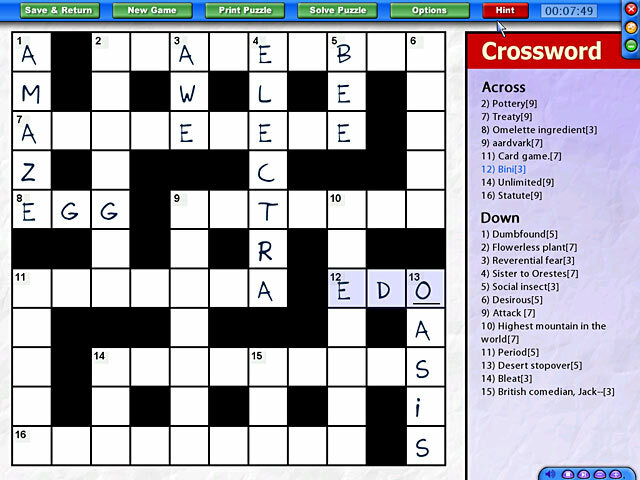 Or, you can pick and choose your puzzles as you wish, making them more conducive to what you feel like playing. Either way, this daily puzzle game will keep you on your toes with each new game you play. For myself, personally, this game takes up too much time, is not relaxing and takes up too much brain power (lol). I do enjoy a variety of puzzle games out there. I own books and books of them but I don't like my puzzles to be so hard it takes forever and a day to figure them out. So, this will not be a purchase for me. But, I do encourage everyone who likes puzzles of every kind to give this a try. The worst that can happen is you choose not to finish the free hour-long demo. Happy Gaming! Rated 3 out of 5 by pinkspott0 from Not my thing. I just don't enjoy sudokus that much and I am terrible at crosswords. I don't know why I downloaded it. Rated 2 out of 5 by sinenomine_lj from Really disappointing This was a complete waste of a free game (thank goodness I did not spend money on it). The graphics looked like something from 10 years ago.